Waldherr's debut novel, The Lost History Of Dreams, focuses on a post-mortem photographer who unearths dark secrets of the past that may hold the key to his future. The story is set in 1850 London, and Robert Highstead longs for the company of his beloved wife, Sida, who has not been the same since an unfortunate event on their wedding night. He has become estranged from his affluent family in Kent and forsaken his career as a promising scholar of Ovid. Taking with zeal to the uncommon occupation of daguerreotyping corpses, Robert surrounds himself with the recently bereaved, capturing their loved ones in eerie keepsakes. Robert cultivates an existence in the shadows, but an unexpected missive from his brother disrupted his death vigil with a request. Their distant relation, the acclaimed Byronesque poet Hugh de Bonne. has passed on. Hugh's final wish was to be buried next to his wife and muse Ada on the moors of Shropshire inside Ada's Folly, a stained glass chapel erected to honor her. To further complicate matters, Hugh's will requires that a daguerreotype be made of his final resting place with Ada's only niece, Isabelle Lowell, in the tableau. Robert, while hesitant to leave Sida alone in London, reluctantly agrees to the enterprise, unaware of the resistance he will encounter. Isabelle, embittered by loss and Hugh's prying admirers, has no desire to fulfill the ill-fated poet's stipulations. In time, Isabelle conceded to the opening of Ada's Folly, but she wants a peculiar favor in return. For five nights, Robert must record the woeful story of Ada and Hugh's romance as Isabelle tells it. Robert, who is forced to commune with the past, becomes transfixed by the allure of the stained glass chapel and Ada de Bonne, and is unable to extricate himself from Hugh's mirrored misfortunes. 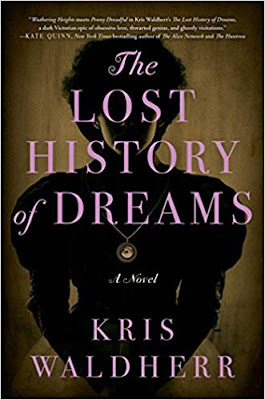 The Lost History Of Dreams, a work in the tradition of Wuthering Heights and The Thirteenth Tale, is a sweeping and atmospheric gothic mystery about love and loss that blurs lines between the past and present, truth and fiction, and ultimately, the line between life and death. 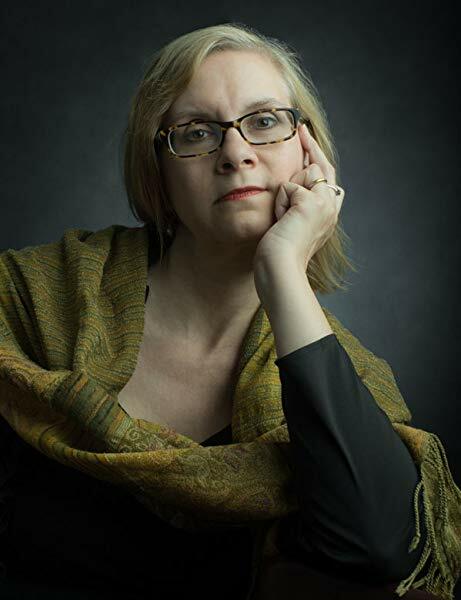 Wednesday, April 10 at 6:30 p.m.: Book Launch - Mysterious Bookshop, 58 Warren Street, New York, NY 10007, mysteriousbookshop.com, (212)587-1011 - Kris Waldherr will be in conversation with Leanna Renee Jieber, award-winning author of The Spectral City series and renowned ghost tour host with Boroughs of the Dead.